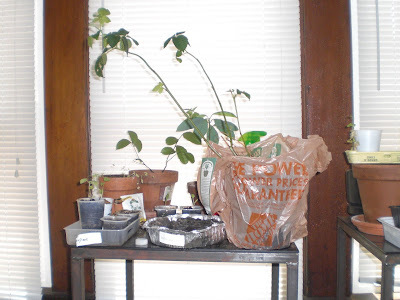 gardening in the boroughs of nyc: Can't pass up clearance! On the day that we went to Home Depot to look at sheds, I saw this sad looking Blackberry plant on the clearance rack. I can't pass up anything on clearance, especially plants. I always think to myself, I can save this. If the price is right, I'll swipe this. I got this price checked, $4, I'll take it! 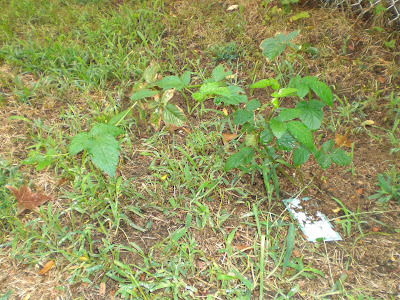 I planted the Blackberry plant and it already is sprouting some new leaves. Awesome! I wonder how long it would take to start bearing fruit. I know what you mean about not being able to pass up a plant on clearance. My mom is the same way! 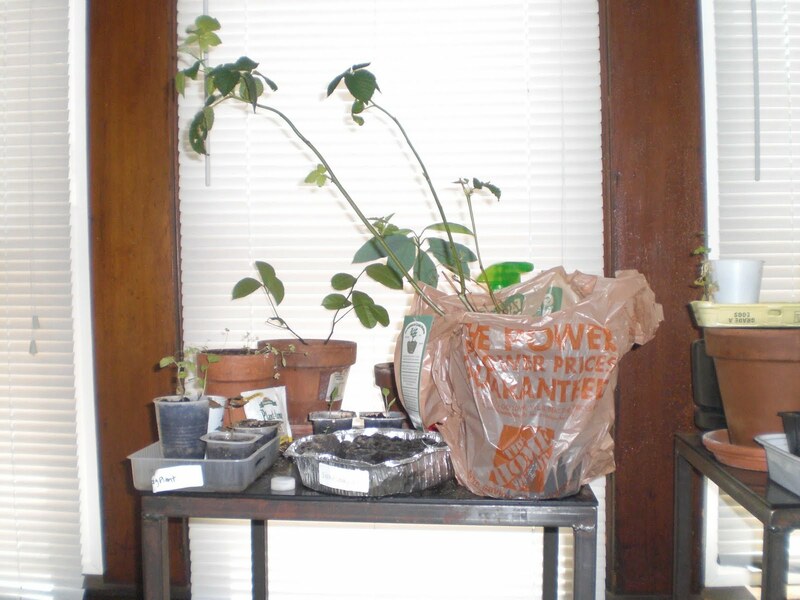 She has her "plant ICU" window at home where she nurses neglected plants from the Lowe's clearance bin back to health! yay, a Rescue! Last year I got 3 flats of 18 plants each of pansies for $2 a flat, just because they needed to be deadheaded! i planted them in between each row of onions and garlic in the fall garden and they were so pretty! A girl after my own heart. My newest find is a grape vine. Two were in the package marked down to $5. Blackberries fruit on second year wood, so theoretically next year you should have berries on the canes you're seeing now...unless the longest one fruited earlier this year in which case it's effectively useless. 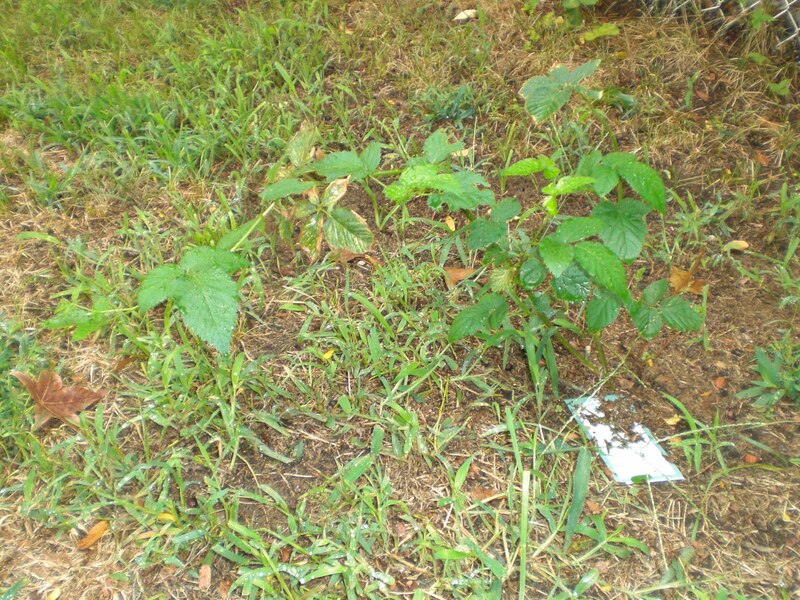 I've planted Blackberries too! This is the second year, hopefully, it'll bear fruit next year! wow, that guy looks great already! Good eye! Always fabulous to get a good buy on plants! There is nothing better than blackberry pie or jam. It might actually make a few berries this next year.